As financial services providers have progressed from focusing on adding functionality to their digital platforms to focusing on the customer experience of using the platforms, the way in which help and support is provided to customers has become increasingly important. 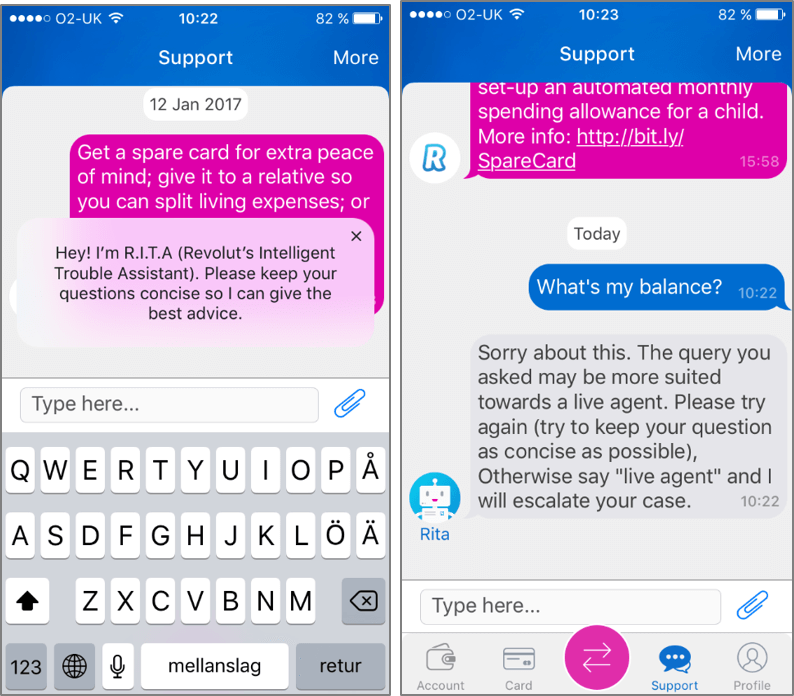 This is evident from the fact that Revolut is using the provision of exclusive 24/7 in-app customer support as a means of promoting its new premium paid-for account. It used to provide all customers with access to the live chat feature; however, at the beginning of this year, the live chat for standard accounts was replaced with chatbot “Beta RITA” which, until its functionality improves, provides a significantly poorer experience. This seems to be the digital-only challenger’s equivalent of the branch challenge facing the incumbent banks, where it recognises the value that customers place on contact with humans (even if it’s not face-to-face) but that this is expensive to provide. As a new entrant to the market, it is easier for Revolut to make such bold decisions, as customers have no expectations regarding how services should be delivered. Customers of the incumbents, in contrast, are accustomed to the concept of free-if-in-credit and would most likely react negatively to having to pay a fee in order to access face-to-face help and support. It is clear, therefore, that finding help and support solutions that meet changing customer expectations and channel preferences whilst cutting costs and still providing excellent customer service is challenging for both incumbents and challengers. At the most fundamental level – supporting customers in the everyday servicing of their accounts – there is a degree of consensus that basic how-to guides when a customer first logs in (once they have got over the often painful digital onboarding journey), combined with comprehensive FAQs, will suffice. 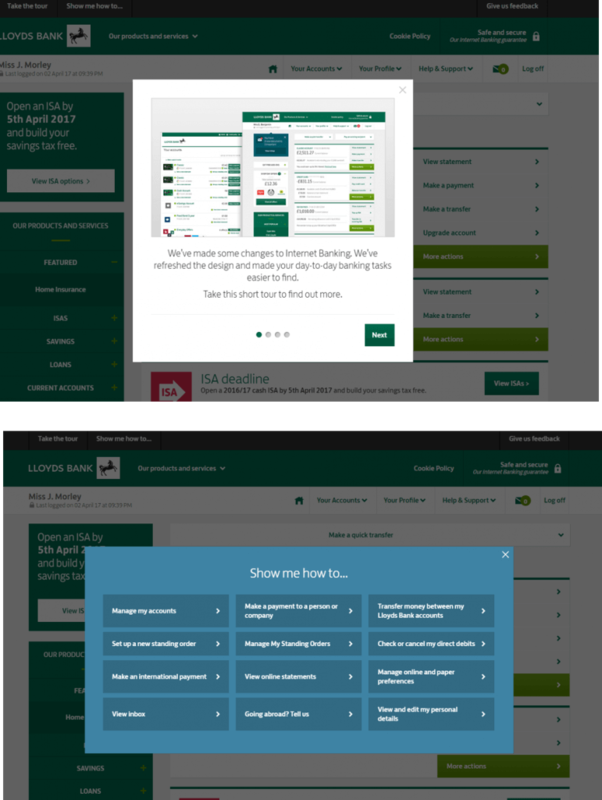 Currently, Lloyds is the stand-out in this space, providing customers with an extensive guide to using its desktop site during the first login and keeping this accessible from within the secure site at all times. Solutions start to diversity at the next level, where customers need support in completing tasks that they are unlikely to complete on a daily basis. Solutions currently being trialled include contextual FAQs, live chat and direct messaging. It is in the provision of the latter two services where the division between providers becomes more apparent. 19% of the banks monitored in Mapa’s Mobile Banking Dashboard currently provide live chat in-app, and 37% allow their customers to send them messages. However, the proportion of challengers vs. incumbents supporting these solutions is significantly skewed. Just 17% of UK high street giants provide in-app chat, compared to 29% of established challengers, and 32% of the UK banking behemoths have direct messaging functionality, compared to 71% of the monitored challengers. 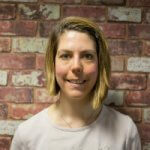 Are the challengers leading in this area of help and support? Not really. 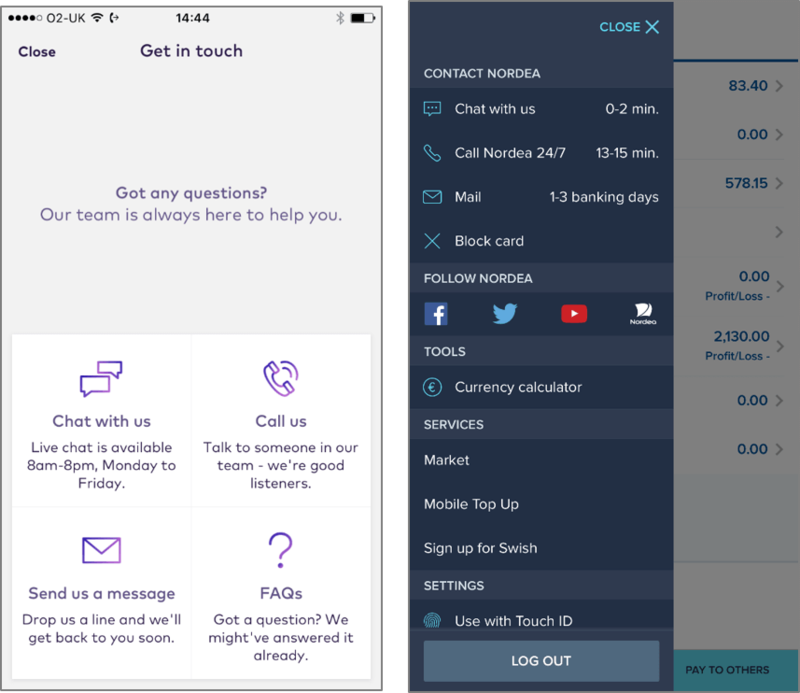 Barclays was the first to introduce in-app direct call, a feature that the recently launched Starling bank has incorporated, and Nordea in Sweden stands out for providing updates to waiting times for each channel in real time within its app. The playing field may be more level than has been suggested in the ongoing challenger dialogue, which often focuses on the advantages challengers have over incumbents in terms of development speed and ingenuity. In fact, as help and support develops into actually giving customers greater control and insight into their finances, and eventually providing advice, the lack of clarity around how to do this affects both camps equally. Challengers will no longer be able to take what has already been done and simply ‘do it better’ and they lack the experience of dealing with regulation that the incumbents have. Meanwhile, the old school providers will face a challenge in launching new services that build on a bigger stack. Consequently, there is now something of a space race amongst providers to be the first to get advisory digital help and support ‘right’ for all customer segments. The challengers have been faster off the starting block in terms of providing insight into spend, (a topic that Mapa has discussed at length). 57% of the established challengers Mapa tracks provide some form of ‘safe to spend’ feature in their app, for example, compared to just 9% of the world’s incumbents. However, there is nothing to say that there can’t be a late stage comeback from the more established players.